​Recently i am thinking of solo traveling again as i started as one, i miss those moments where i fully have my own time. I control my schedule, i eat what i want, i stay at a place as long as i can be. I control the day, i own it. So this week i took a holiday to bali. Not to explore the island, i just want to enjoy my time alone on the island where i don’t live in. Wake up in a different place, a strange neighborhood where nobody knows you. They don’t ask, don’t laugh, don’t care whatever your business to stay alone at some restaurants. Or why the heck you sit alone on the beach watching the sun to set. Perhaps they see you a loner, they picture you as a pathetic lonesome who has no lover nor friends but you just don’t give your attention on them. You only care about yourself as long as you’re happy and that is truly an amazing feeling you’ll ever felt, because finally, you make peace with yourself. Bali provides you everything from beaches to mountains, from flea markets to supermarkets, from a hawker foodstall to a michelin star restaurant, from holy places and even prostitutes area you can visit them all by yourself without being judged by your friends and without rushing yourself from place to place because your friend wants the group to fully check the itinerary list just as i said before, you have your own time. You control the flow. 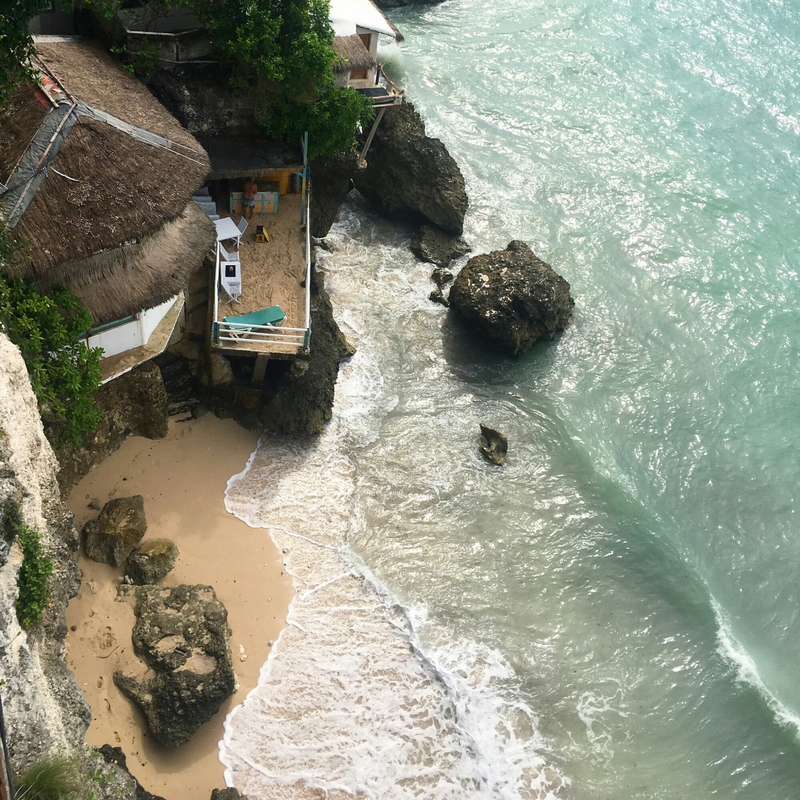 On my three days of traveling to bali these are places i visited without making the itinerary before. All of them were restaurants and coffeeshops. I wasn’t in the mood of forest trekking nor beach hunting. I want foods and beverages. Just when i arrived at the afternoon under a strong sun in Bali, Double Six beach was the first thing came up on my head. 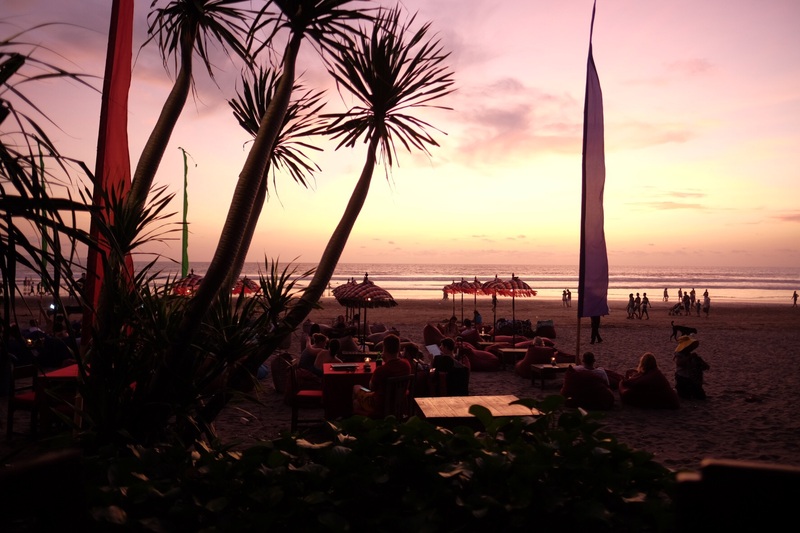 This beach set in the west side of Bali island so it would be the perfect place for me to see the sunset. 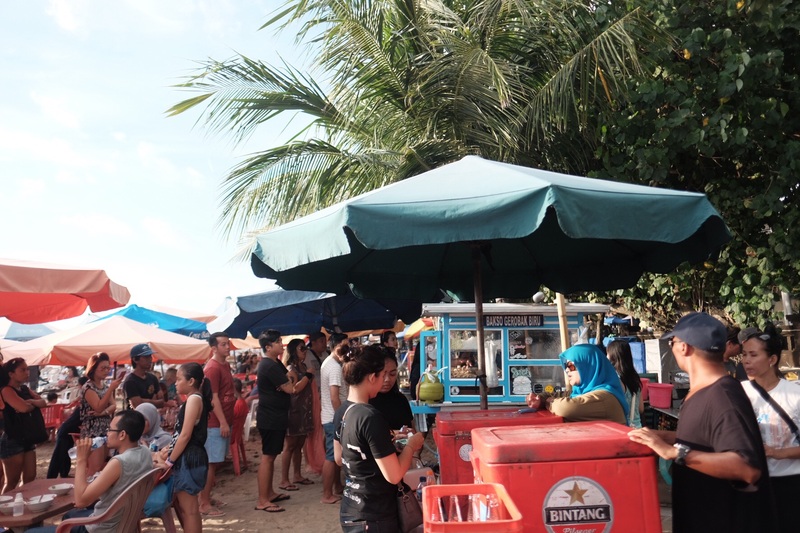 I ordered an ojek and he dropped me near a crowded beach and then he said “ If you are hungry you can eat in bakso Tenda Biru on the beach over there (pointing a place near the beach). It is a very famous bakso on the area” , well i followed his recomendation to the place which trapped me in a 30 minutes of standing in a queue for a no-worthy bowl of meatball (i prefer call it flour-ball). I wasn’t satisfied, but i enjoyed the experience yet leaving the question of why on earth people want to wait in the line for a long queue for this? Near the sunset time I walked on the side of Double Six Beach carrying my camera and shooting around sometime looking like a spy lurking on. The wheather and the sky was impeccable. Clear without any clouds covering it. 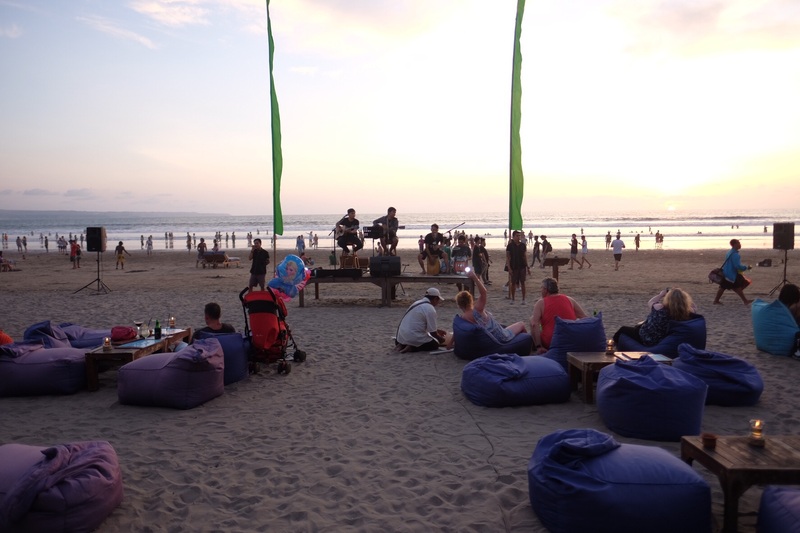 While looking for the best spot to watch over the sunset I stumbled upon a coffeeshop right on the side of the beach. It is very near la plancha. Both are perfect to watch sunset, only The Coffee Library is very much less crowded. When the sun about to set down, they give you a live music performance. The stage is blocking the beach area yet it gives you an aesthetically pleasing view. Imagine yourself listening to a live music, watching it over the stage with a picturesque sunset falling down slowly as its background. MAJESTIC! As you may know that uluwatu’s sunset is super scenic. With its already famous wave, said as one of the best wave for surfer in the world. I came to this 360 restaurant for a luncheon. The restaurant set on the highest level of the building giving it a perfect view of the sea and a perfect spot to see the sunset. You can see an eye-pleasing grass-roof of their villas. Green is everywhere. I ordered a duck breast confit that served with buttered potato, seasonal baby vegetables and a duck juice, beef burger, and also a cup of flat white. 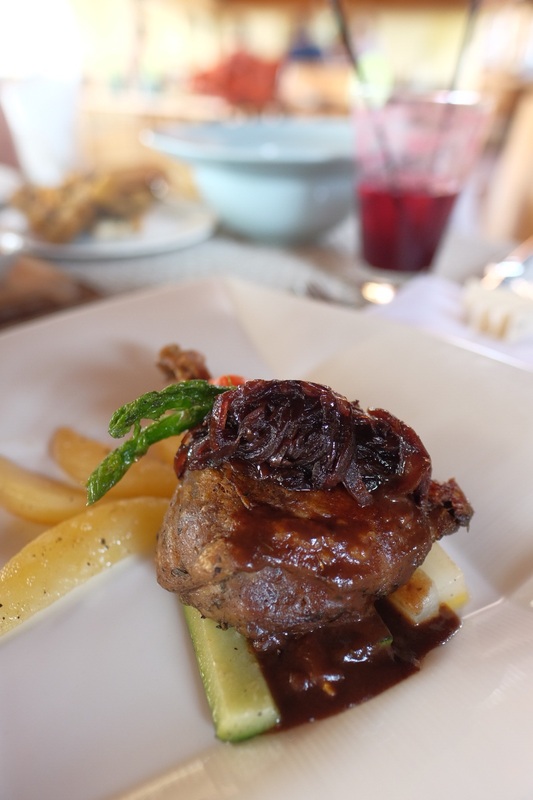 I still can remember how tender the duck was. It was a satisfying luncheon. 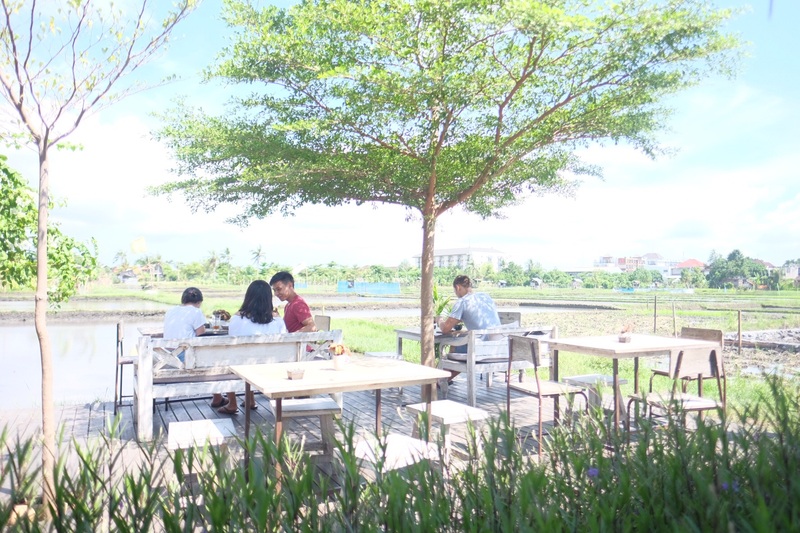 I can say you’ll be happy to come here whether the reason is for the view or the food because together they make a perfect combination. After the lunch I then walked around the villas. To the pool, the pool-bar, the chapel, it’s soo.. beautiful. I hope I can stay here someday. One thing people know that bali isn’t only about beaches. It’s also the beautiful ricefield. And if you ever wondering of how it feels to dine amidst the ricefied, you can try Nook café. It’s a small cafe with a beautiful and colorful interior. There are two areas, the under-roof area and the alfresco area. I chose to sit inside the building as it can be very hot outside. The menu is various. You can choose european or indonesian food. 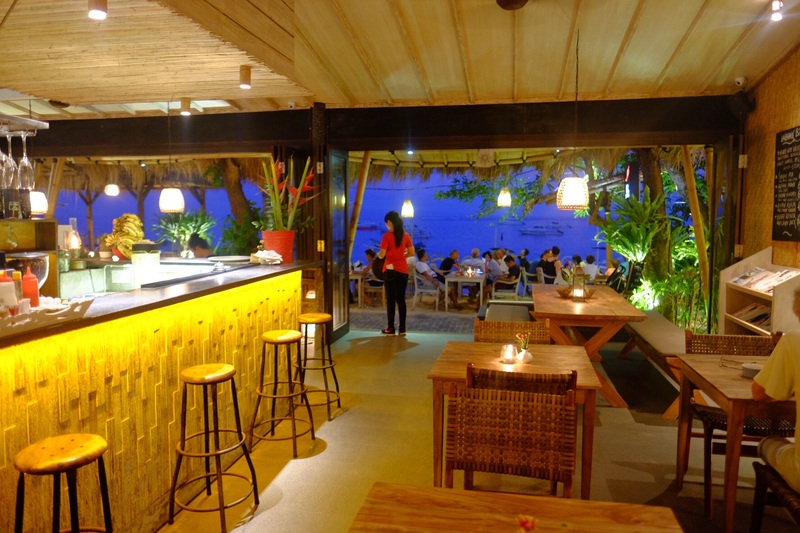 The Lila Pantai is highly regarded restaurant in sanur with its delicious meals and its warm ambience. 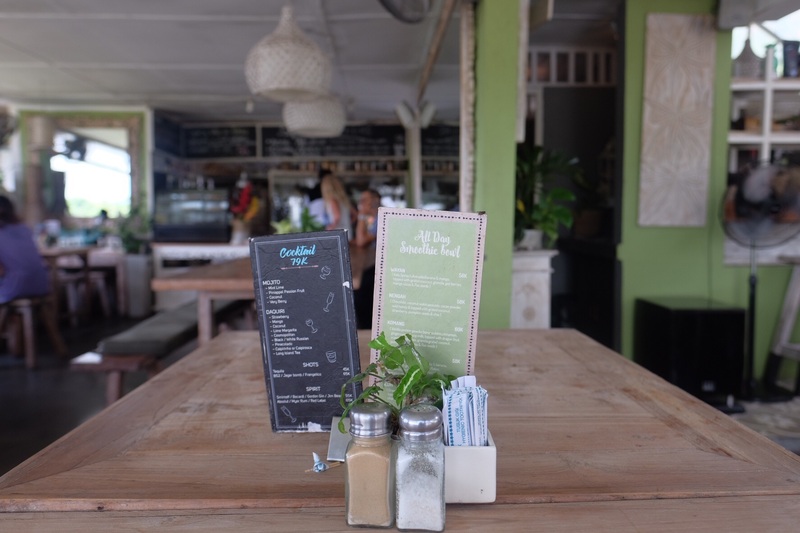 Located in the sanur beach, you can dine while enjoying white sand of sanur beach and the array of wooden boat parking on the side of the beach. It’s a perfect place to have a tranquil romantic dinner with the soft wave as the music background. Don’t forget to order their ayam betutu. A half chicken boiled in traditional spices. You will like it. Solo traveling can be fun too! I don’t see any reason to say that solo traveling is boring. I know that group trip can cut the budget big time, but there are privileges sacrificed such as your free time, privacy, etc. At the end of the day, it’s your call which one fits you more. But I can hope you have the gut to try solo trip at least once in a lifetime. Adit takut apa sih? Digerayangin bule? Adit selera bule ya kakk? tipe yg cocok jadi first lady gitu ya..
Kemarin abis dari Bali. Cukup lama sih, 9hari dan cuma berdua sama temen. Tapi bener-bener engga puas, karena temen yg aku ajakin dan udah aku anggep sobat deket itu kalau udah diajakin piknik jauh sifat aslinya keluar semua, bener2 childish sampe bikin emosi naik gak turun-turun :))). Juga aku bela-belain keluar duit lagi buat booking kamar sendiri karena gakuat ngeladenin drama-dramanya dia. Tapi nih bang, dalam waktu deket aku mau piknik ke Jakarta. Kangen banget sama GI, Jakarta nightlife dan mbak-mbak pacarable dikota sono. Berikut Pos berikutnya: Cepetan datang! Cafe Yoforia ini cuman buka 3 bulan aja!